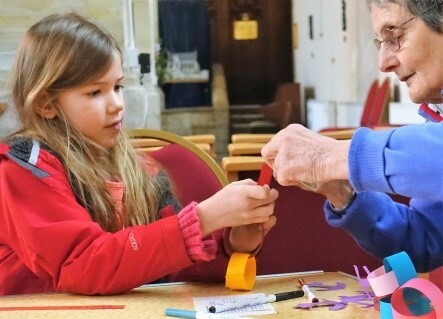 On another particularly wet and cold Saturday morning we really appreciated the warm welcome of All Saints for our February Messy Church. The theme this month was The Family in all its different contexts. After our usual superb breakfast, the activities included firing a large catapult with a bean bag to make us think about our families being a spring board from which we could go to explore the wonderful opportunities presented to us in the world, knowing that we are still always loved by our family wherever we go. We made beautiful Mothering Sunday/Thank you cards to remind us of the love shown to us by the people who care for us, including our Mums. We created Anchor paper chains on which we wrote the names of our families and prayed for them, attaching an anchor to each family chain to remind us that Jesus is the anchor for all Christian families. We also had a family tree on which we put decorated leaves inscribed with the names of our family members to show us how our families are all linked together and how God wants us to be part of his family. 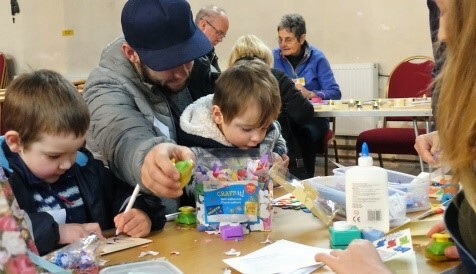 A very popular activity was making “blood” (very messy!) to make us think about what it might mean to love God more than our own flesh and blood family. 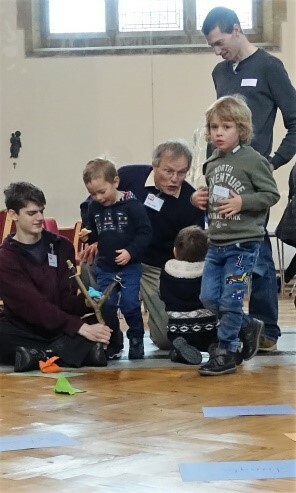 The helpers had been asked to bring photos of themselves as babies or children and it was surprising to see how many people recognised baby Geoffrey….although not Geoffrey as a teenager in the group of young Christians. 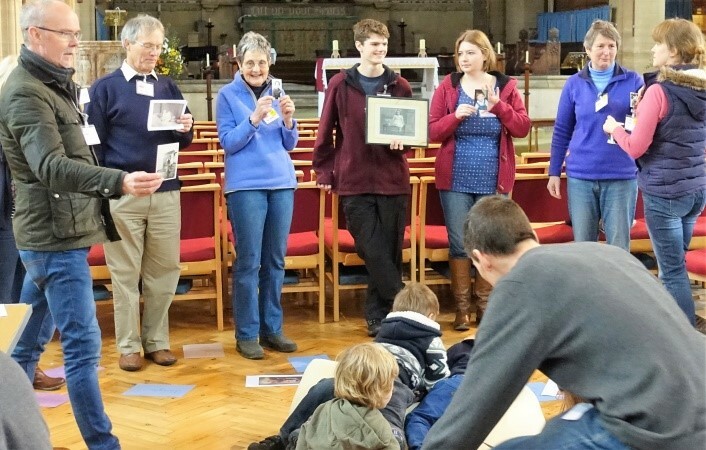 Geoffrey used the photos in the celebration when he explained that just as we were part of our birth families, we are also part of the greater family of Jesus. We sang two action songs (‘We are Family’ by Sister Sledge and ’Father Abraham had many sons’) with great gusto and all too soon it was time to say our final prayer before going out into the rain again. 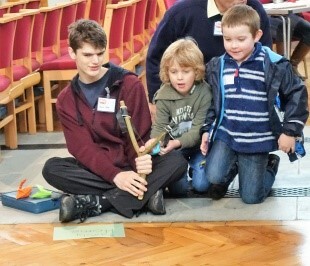 Don’t forget….the next Messy Church will be on March 10th; we look forward to seeing you there.